Rossini’s effervescent comedy takes on new life with a superb cast led by conductor Andrew Davis. Kathleen Battle shines as Rosina, a feisty young women with a mind of her own—especially when it comes to love. 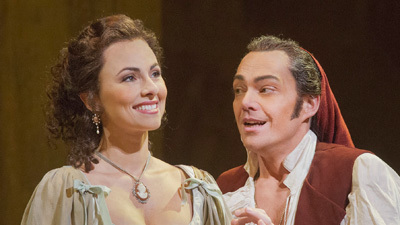 Rockwell Blake is her suitor, the handsome Count Almaviva, who must outwit Rosina’s elderly guardian, Dr. Bartolo (Renato Capecchi), who wants to marry the girl himself. 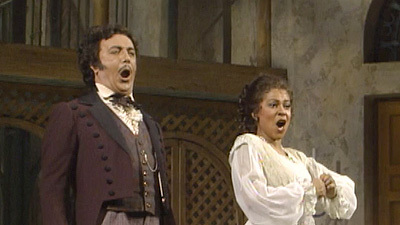 Paolo Montarsolo sings Don Basilio, Rosina’s music teacher. And at the center of it all is William Workman as Figaro, the resourceful barber of the title, who pulls the strings and brings the young lovers together.